HMBScitec Diabolica - 120 kaps. 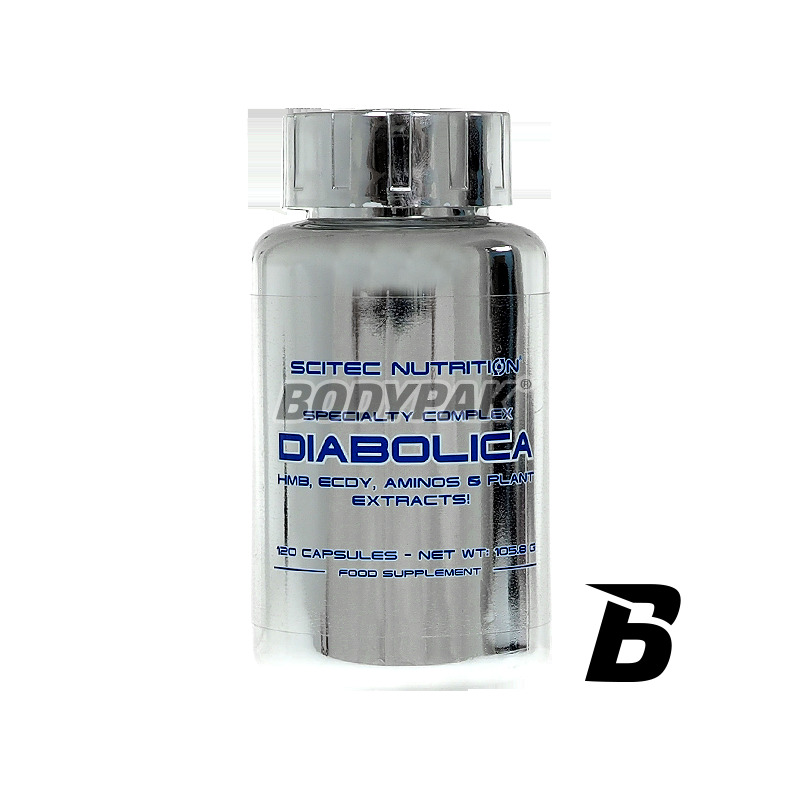 Scitec Diabolica - 120 kaps. A synergistic combination of the most popular ingredients to optimize the activity of the body, accelerating metabolism of proteins. Bet on the quality and enjoy the results! Mixture of active substances which affect the development of adipose tissue. A source of natural herbal extracts with proven effect. Supplementation with this preparation is not burdened with any side effects! 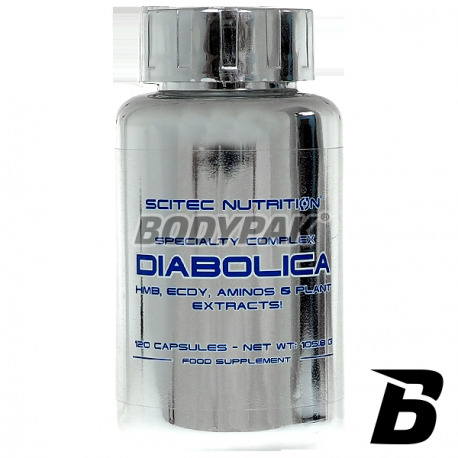 Scitec Diabolica is a special complex of 7 popular ingredients including contains HMB, Beta Ecdysterone, essential amino acids, plant extracts and vitamin B6! This powerful, complex product helps to optimize the hormonal activity, protein metabolism and energy production in the body. Unlike some amplifiers operation and muscle Diabolica does not cause water retention. EXCELLENT CONDITIONER FOR ACTIVE ATHLETES! * This information has been scientifically proven and accepted by the European Food Safety Authority. Food Safety. Dosage: Use 2 capsules in the morning and 2 capsules in the evening with a meal. The product can not be used as a substitute (replacement) of a varied diet. Składniki: Beta-hydroksy-beta-metylomaślan wapnia, 5% ekstrakt z (liści) Spinacia oleracea, Otoczka kapsułki (Żelatyna wołowa; Barwniki: Candurin srebro grzywny, Czerń brylantowa, Czarny tlenek żelaza), L-Leucyna, L-Izoleucyna, substancja przeciwzbrylająca (Stearynian Magnezu), 20% ekstrakt z (nasion) Trigonella foenum-graecum, BioPerine® [ekstrakt z (owocu) Piper nigrum], Pirydoksyna HCl. Bardzo kompleksowy skład o pozytywnym działaniu, polecam spróbować!